JOE KIOUS- - SADLY DECEASED in 2015..
Small fluted white pearl lock back folder. 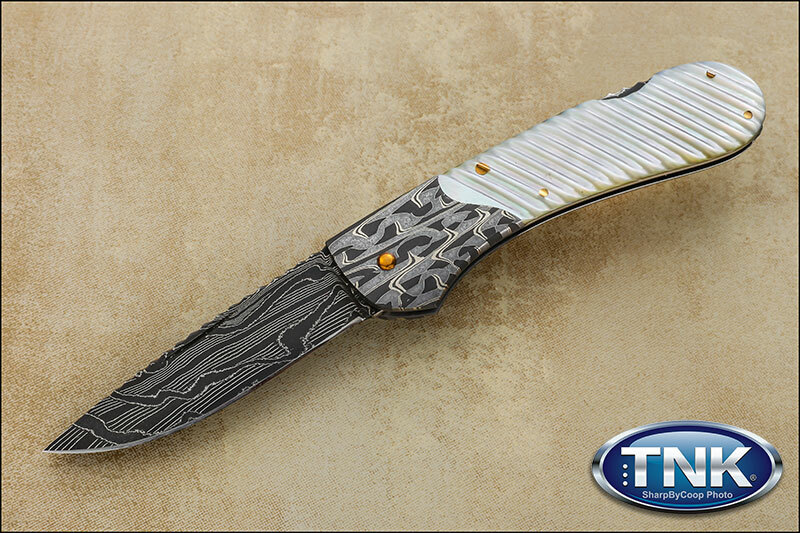 Robert Eggerling bolsters and Mike Norris Stainless Damascus blade. Gold pins and Damascus lock spring . File worked Damascus back strap.